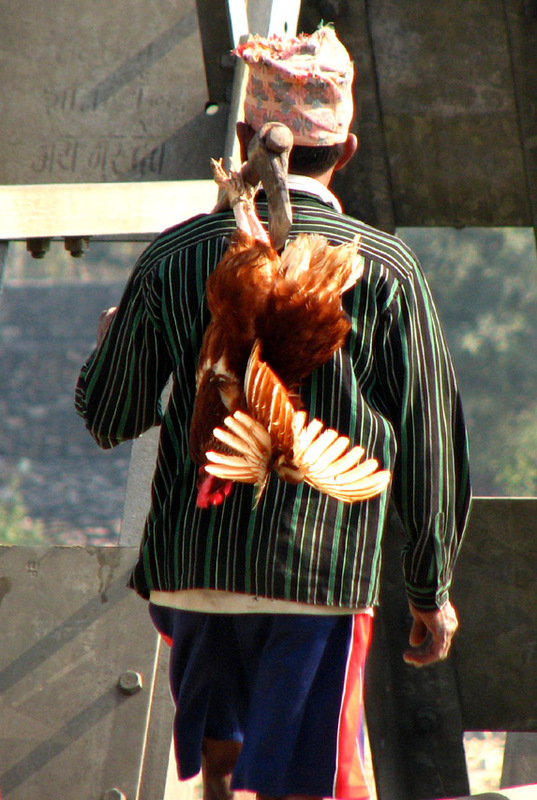 A farmer in Nawalparasi carries his hen by tying its legs on his axe. I saw it some time before the outbreak of bird flu, so i don’t think he was going to kill it or dump it in the soil, maybe he was going to sell it. Well, whatever maybe the reason, i found it unusual. But he must have found it easy to carry both the hen and the axe that way.